Our 1st annual conference comes with the topic “Innovation in Healthcare”, which has been highlighted globally in several occasions by several healthcare organizations. 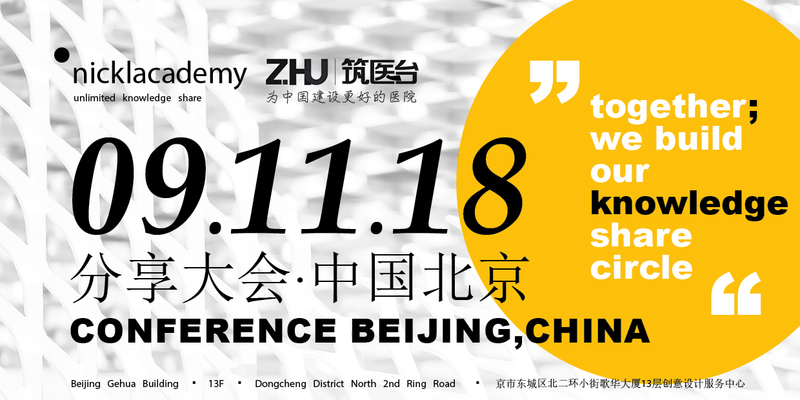 We as Nickl Academy and our partners in China highly believe in bringing this subject forward, by supporting better understanding of how innovation can play an effective role in pushing the healthcare services up to the required level, and to achieve greater accessibility to wider range of affordable healthcare services. Therefore, our aim this year is to bring a group of experts to discuss this topic and tackle relevant issues from different perspectives: policy and decision making, healthcare provision, and hospitals´ management and design. Outcomes of this year’s conference will be further developed and presented in our future knowledge-share events, therefore, we are looking forward to your participation and contribution.